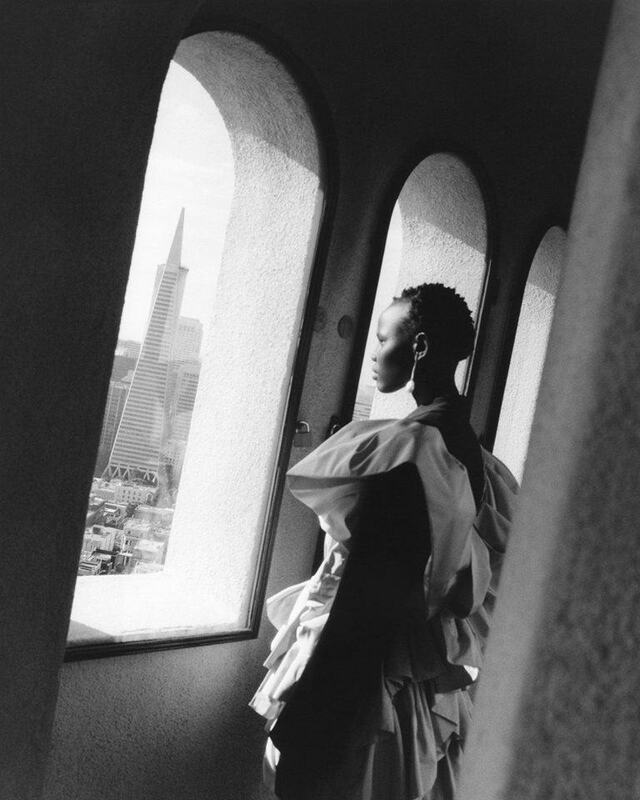 The Alexander McQueen Autumn/Winter 2018 campaign is set in mythical and free-spirited San Francisco. This city provides a rich backdrop evocative of the beauty of nature, the importance of culture and contemporary society at its most evolved. Like the collection itself, the campaign is the embodiment of freedom of expression, drawing on themes of metamorphosis and the magical transformation of physical forms. The woman, dressed in softly armoured hybrids – one garment morphs into another – is at once respectful of and at one with her environment, appearing almost to emerge from it like a dazzling butterfly or moth. 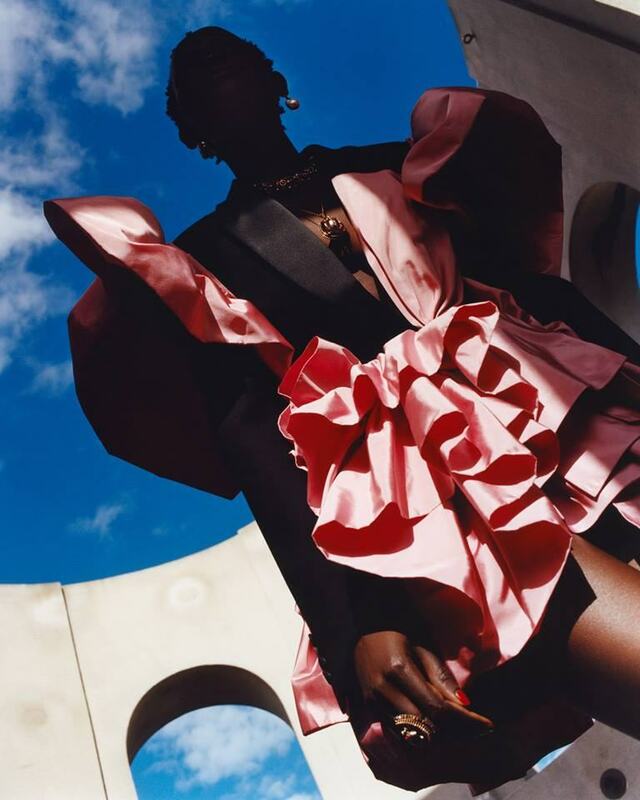 Shanelle Nyasiase, Vittoria Ceretti and Rianne van Rompaey, all previous faces of Alexander McQueen – all characters – are photographed by Jamie Hawkesworth Art directed by M/M Paris.